Ideal to use post antibioitic use. • Leaky gut resulting in digestive problems, allergies and autoimmune disorders. Take 1 - 3 capsules per day after eating to help build up good intestinal flora. 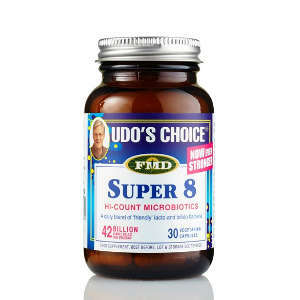 Udos Choice Super 8 must be refrigerated to ensure maximum potency & stability and may be frozen.